(A) PRO-FIX system (patented) locks and unlocks car seats and carrycots with just one movement, eliminating the need for awkward fitting kits. (B) Extremely compact folding system (Patented). (D) Reversible and detachable seat unit. (F) Compact folding, even with seat unit still in place in either direction. (G) Larger detachable rear wheels. (H) PU tyres; 10 times harder wearing than traditional tyres and with great shock absorbing properties. (I) PU leatherette handlebar cover. (J) Long travel Independent suspension with 2 shock absorbers on the rear wheels. 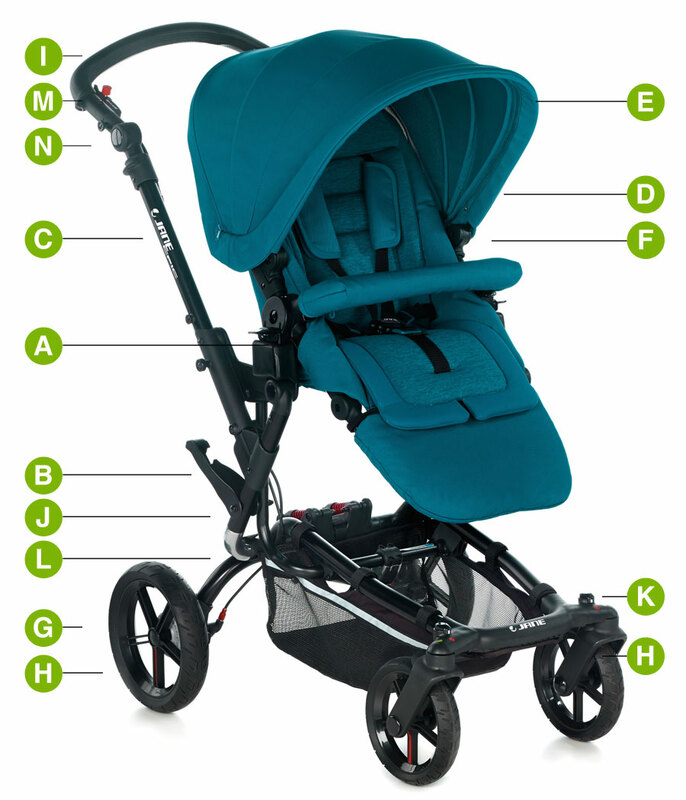 (K) Smooth and efficient front lockable swivel wheels thanks to the balanced front wheel set. (L) Inverted “C” shaped rear structure makes room for your feet and easier to push. (M) Double brake lock on the handle, so there’s no foot-operated brake pedal to threaten the toenails of sandal wearers. (N) Height adjustable handle (80 - 100 cm). (A) The Micro carrycot provides a practical and light option for transporting the baby while he rests. (B) To fold the carrycot you quickly and easily pull the two straps at either end of the carrycot. 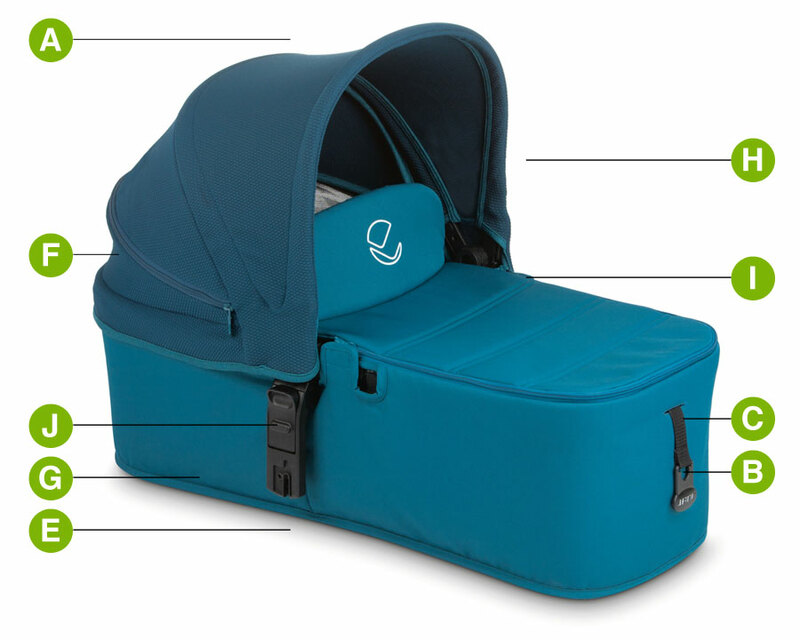 (C) To Unfold you just release to two straps and the carrycot pops open ready for use. (D) The attractive design is based on a top quality anodised aluminium structure giving it great stability. (E) The rigid one-piece base lets the baby rest in complete comfort. .
(F) The Micro carrycot includes an extendable hood with an removable apron. (G) Internal mattress bed size:74 x 30 cm. (H) Suitable for overnight sleeping when used with a safety mattress.